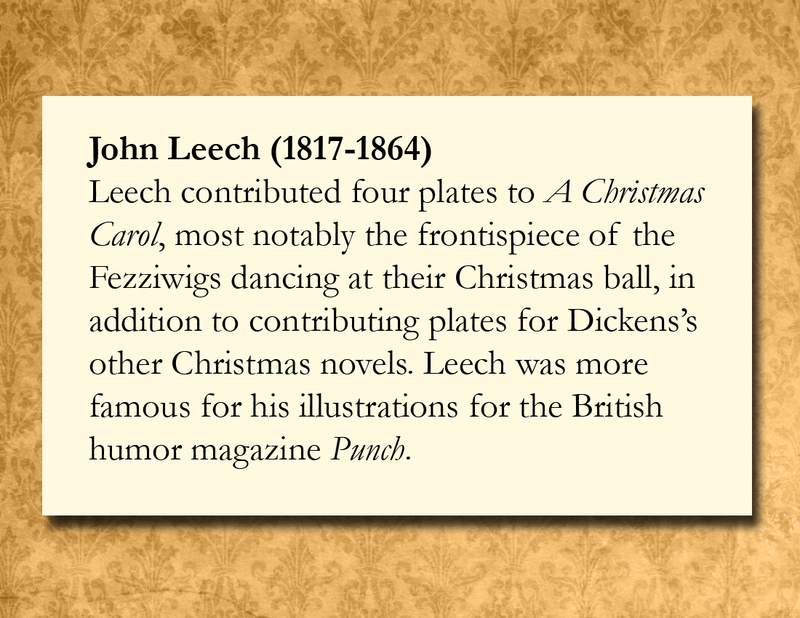 Leech contributed four plates to A Christmas Carol, most notably the frontispiece of the Fezziwigs dancing at their Christmas ball, in addition to contributing plates for Dickens’s other Christmas novels. Leech was more famous for his illustrations for the British humor magazine Punch. A Christmas Carol. 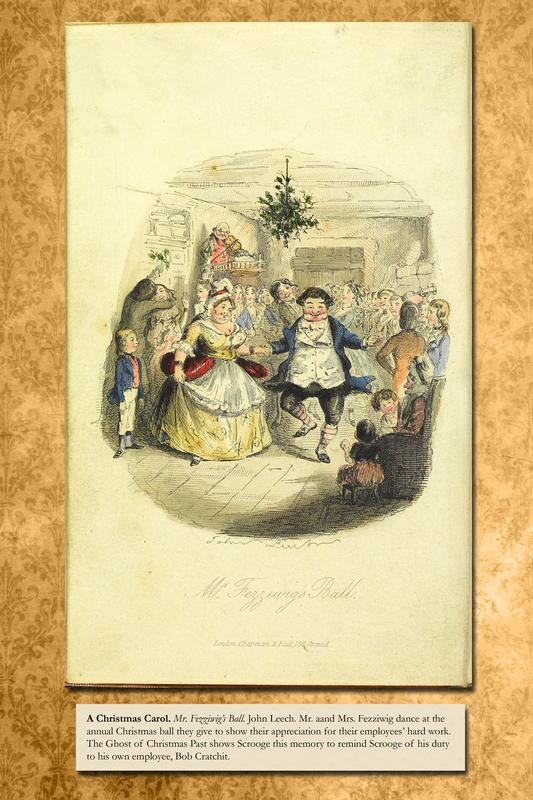 Mr. Fezziwig’s Ball.John Leech. Mr. aand Mrs. Fezziwig dance at the annual Christmas ball they give to show their appreciation for their employees’ hard work. The Ghost of Christmas Past shows Scrooge this memory to remind Scrooge of his duty to his own employee, Bob Cratchit. A Christmas Carol. Scrooge’s Third Visitor. Illustrated by John Leech. 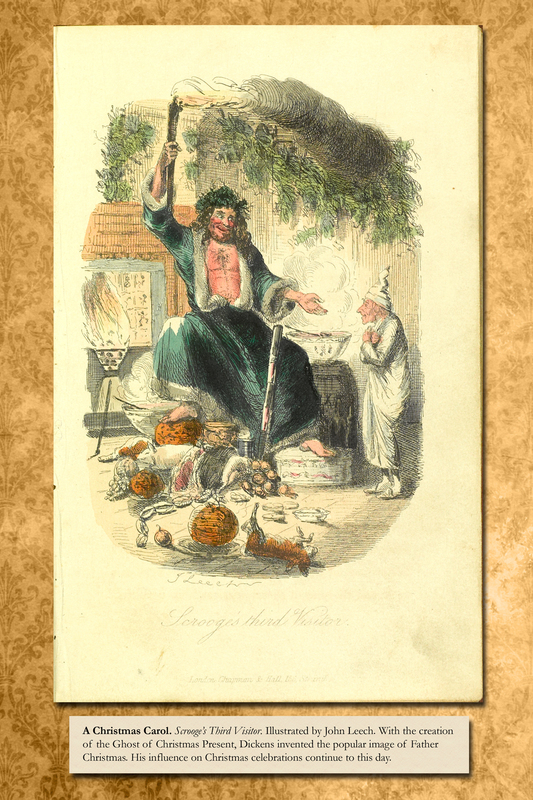 With the creation of the Ghost of Christmas Present, Dickens invented the popular image of Father Christmas. His influence on Christmas celebrations continues to this day. A Christmas Carol. Marley’s Ghost. John Leech. 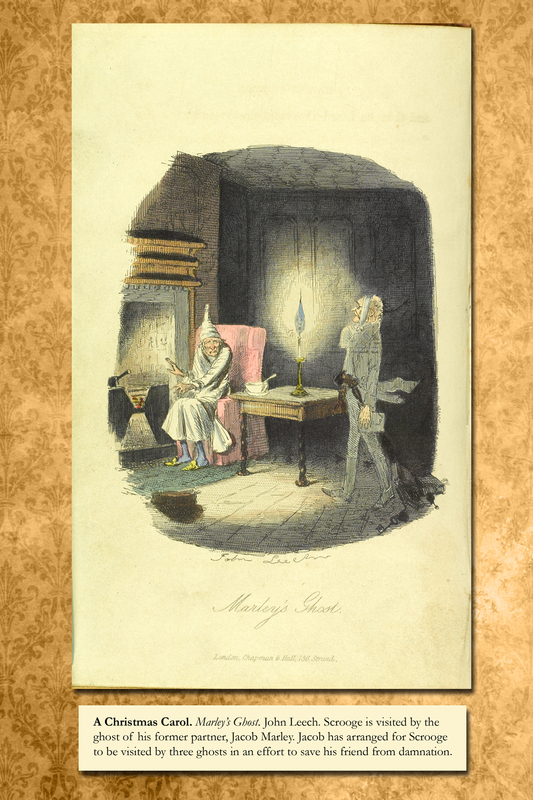 Scrooge is visited by the ghost of his former partner, Jacob Marley. 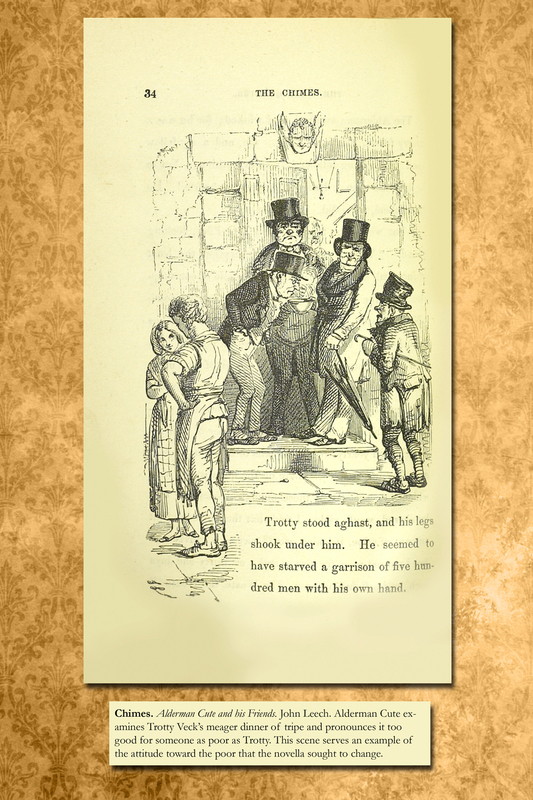 Jacob has arranged for Scrooge to be visited by three ghosts in an effort to save his friend from damnation. Chimes. Alderman Cute and his Friends.John Leech. Alderman Cute examines Trotty Veck’s meager dinner of tripe and pronounces it too good for someone as poor as Trotty. This scene serves an example of the attitude toward the poor that the novella sought to change.